Bounce Exclusive: Lagos Is Not Banning Live Bands! Its time to wear your dancing shoes, because Lagos night life is not going away. Lagos loves the music, but not the noise. Cyber space was lit up by the news that the Lagos state government was banning live bands in bars, restaurants and beer parlours. The General Manager of the Lagos Environmental Protection Agency(LASEPA), Shabi Adebola, spoke to Bounce News to calm fun loving Lagos residents, and to correct false reports on the ban. “What we said was that if you have like a beer parlour on the street, people sit on the street, and you have a live band definitely your activities will disturb the neighbourhood, if there is going to be that definitely, you need to obtain a permit and notify the community, and explain to them how many hours you are going to have the live band for, you prepare the mind of your neighbours, it’s not that we totally banned all these things. “We never banned anything what we said was, you have to have a permit for all these things so that we will prepare the minds of the community so that if a complaint comes in, we will say that we know, but it’s only going to be for a specific number of hours and it must not pass 11 or 12 midnight, there is need for you to prepare the minds of your neighbours, that is what we said about the issue of the live band on the street. “If you have a club and your club is enclosed, there is nobody that can ask you not to have your live band there, or you have your restaurant that is enclosed, nobody can ask you not to have your live music there. The publications were misconstruing what we have said here” he said. He also pointed out that the sensitization of bars, clubs and religious establishments on the importance of moderation of sound coming out of their premises was very important as it showed that they had respect for their neighbours. “The agency has been assisting a lot of these religious houses and club owners too to comply. I will use a test case, there is one of these churches that we have in the island, in Lekki, where the church has installed a noise meter at the entrance. So when the pastor is preaching and the noise level is getting higher, the meter starts blinking red, so the pastor knows that he is going beyond the noise level, so he brings down the volume of the microphone. “The level of compliance between the religious houses and some other places is getting higher in the state. 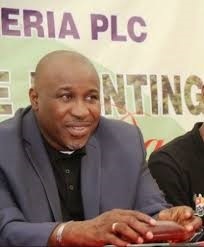 “When you talk about sensitization and awareness it is a continuous exercise, which we have been doing and will continue doing, even last year, we had what we call a noiseless Lagos summit on May 9th and there is another one going to be held this year around May for the club owners, restaurants in this state"
He added that a similar event was held last yea for religious houses but pointed out that this year would be a continuous exercise. The agency is also concerned about the health implications of noise pollution, so they are keen on all the communities in Lagos following the measures while also reporting defaulters. “There are a lot of damages noise pollution does to our system, noise aggravates your blood pressure, noise can let you to lose your memory, when noise is over 115 decibels at exposure period of 6 to 8 hours it can lead to deafness, apart from our hearing, noise affects your eye sight. “So there a lot of damages which we need to let the public know, noise also disturbs your sleep, so if your on medication and you cannot sleep the medication cannot work in you. We have to be preaching this. I am always talking about it everywhere I go. Many of the churches today in Lagos, they have heard about the noise pollution and they have heard about LASEPA all over now, compared to what it was about 4 to 5 years ago. “It is something that you don’t solve in one day, it is a continuous exercise, we have a target that by year 2020 we must have reduced the noise pollution in this state by about 90%” he said. "If you have an issue with noise pollution in your neighbourhood, write a petition to bring to the office, if you cannot come to the office, then you can call any of these numbers - 08036667049, 0704635125, 08150458639 and 08150458638. Also you can write to the agency at info@lasepa.gov.ng or visit us at lasepa.gov.ng” he said. ”After the complaint we go down there first, we ascertain the level of what you have complained about, we invite both the complainer and who you are complaining about, and bring both parties together. Then we give directives, maybe there is a need for you to reduce the number of speakers you are using or maybe there is need for you to bring down the speakers you have outside, or if there is need for you to enclose your premises, definitely if it is a club house or religious house, then definitely they need acoustic walls to sound proof their premises.” he added. Lagos is growing into a mega city and the only way for things not to go out of hand is for the city to maintain its sanity, and Adebola believes that keeping down the noise is one way to do this. “We need to put sanity in everything that we do, we need to look out for people who do not necessarily enjoy the things you do. “In our constitution, there is freedom to life, but how can I have freedom if I see other people disturbing my life, we need to look at that area too. I drink myself, what about people who don’t drink and want to have their peace? So do we need to disturb them? “Okay look at the church for example now, and you have someone next to the church who does not believe in Christianity or Islam, does he not have right to have his peace? He has the right, as long as you have the right to worship your own God, he has the right to his own in peace. There is need for you to moderate, bring down your music and let him have his rest, many Nigerians today, don’t even know that they have high blood pressure, many Nigerians don’t go for medical checkup. When you see, people slumping they say it is a spiritual attack, it is never a spiritual attack go and check yourself out, you hear very loud noise a lot of things happen to your system. "We need to balance things, we don’t want to ban it, but we need to look at how it affects other people” he concluded.